This past Sunday marked the first day of our Fall Training Program. The Twin City Derby Girls welcomed 22 skaters who showed up to gear up, skate around, and try out some basic skating skills. The enthusiasm and positivity in the rink was contagious. We are so excited to train and skate with this new group of skaters, and we’re pretty sure they are just as excited to start! TCDGs can make a solid wall–even off-skates. 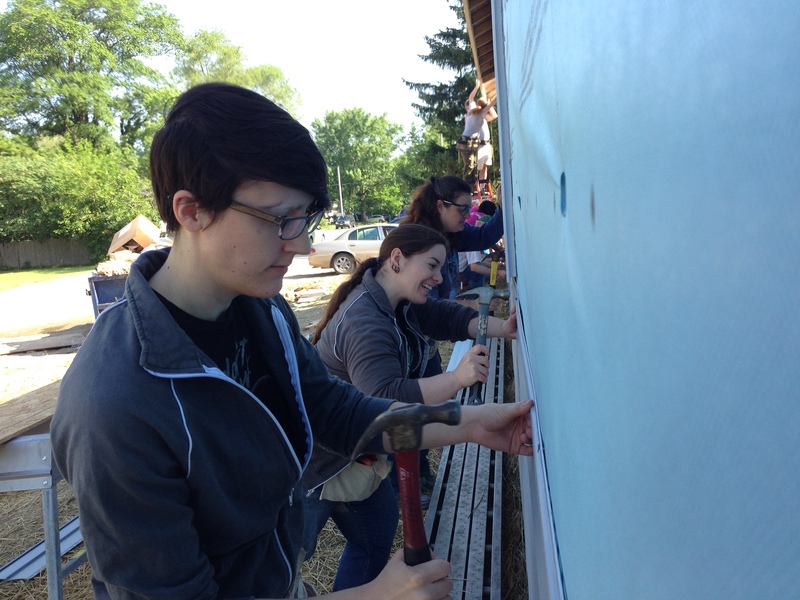 Habitat Women Build is dedicating the 7th Women Build home this Thursday, September 24th, in Urbana! 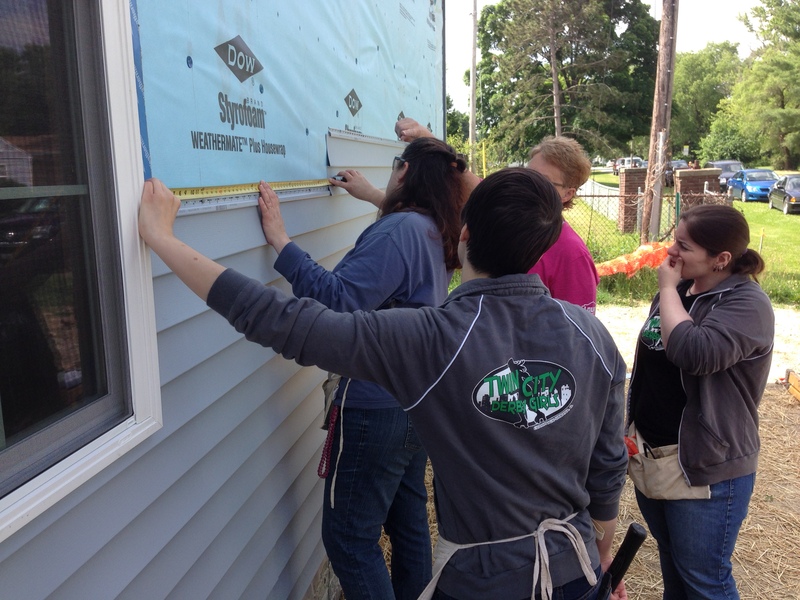 As one of our charity partners, we had the opportunity to contribute to this awesome Habitat for Humanity home earlier this year. It’s exciting to hear that it is now ready for a family to move in! Looking to increase your fitness level? New in town and want to make friends? Want to challenge yourself and push yourself outside your usual comfort zone? Want to do more than just “workout”? The Twin City Derby Girls Fall Training Program can do all of that and more. We teach woman and men of all ages and walks of life to skate, and later to play roller derby if they so choose. Practices are positive energy classes that can burn up to 1,000 calories an hour, and strengthen your bones, your muscles, and your heart. Roller derby practice also releases endorphins, which makes it good for your mind and spirit, too. The level of encouragement and support that you’ll find at a roller derby practice is amazing. Best of all, roller derby connects you to dozens of awesome local women and men and forges lasting friendships. And did I mention that if you choose to play the full contact game you get to hit people? Most of us consider than a pretty awesome benefit. 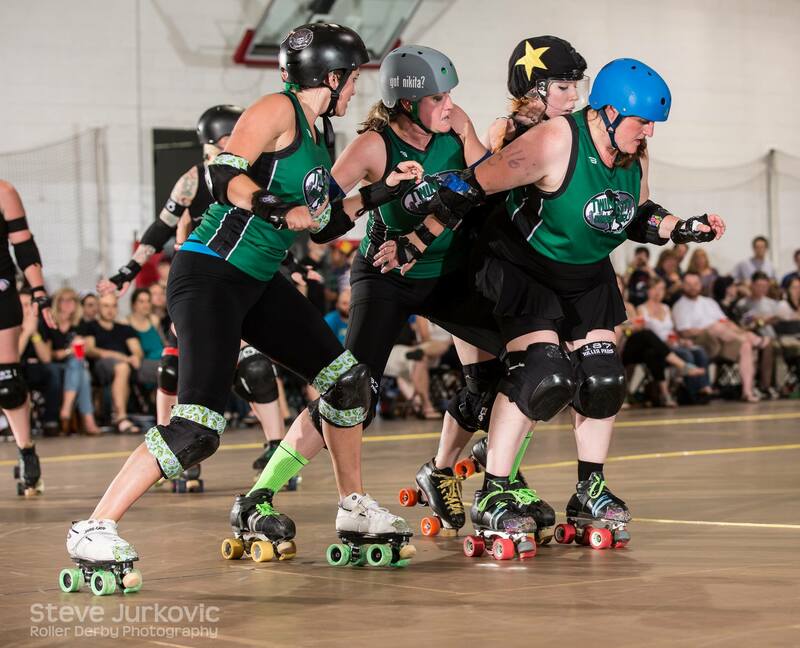 In the Twin City Derby Girls Training Program, Coach Maraud and other TCDG skaters will teach you how to properly use protective gear and the basics of skating, maneuvering, stopping, and falling safely. We then move on to the basics of blocking and receiving blocks. Elements of strategy and the roller derby ruleset are also covered. Skaters who complete the 12 week program may choose to remain in the training program for a longer period of time, or indefinitely if they wish to continue skating at a recreational level. 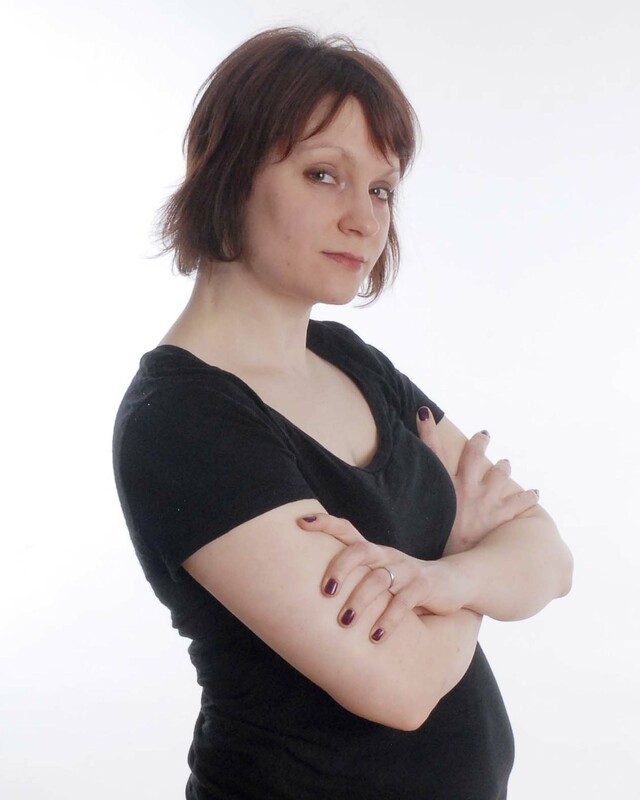 Women may be invited to move up to one of TCDG’s bouting teams to continue their development. Men have the opportunity to join C-U’s brand new men’s derby team, the Champions of ‘Paign or become referees. No skating experience is required, however we strongly recommend that if you have not skated in a very long time (or ever), that you go to one or more open sessions at Skateland to brush up on your skating to ensure that you feel adequately comfortable. During the training program, skaters are encouraged to use knowledge of their own body and fitness ability to pace themselves. We expect skaters to progress at their own comfort level, with no pressure to learn fast or keep up with other members. You’ll be in good hands with Coach Maraud. If you are comfortable on skates and are ready to try the training program, come to Skateland on 9/20 at 9 am for our Fall Training Program kickoff. See the accompanying page or the Facebook event for details. What are you waiting for? The best time you will ever have working out is right here! TCDG was well represented at the Great Midwest Mashup this weekend. 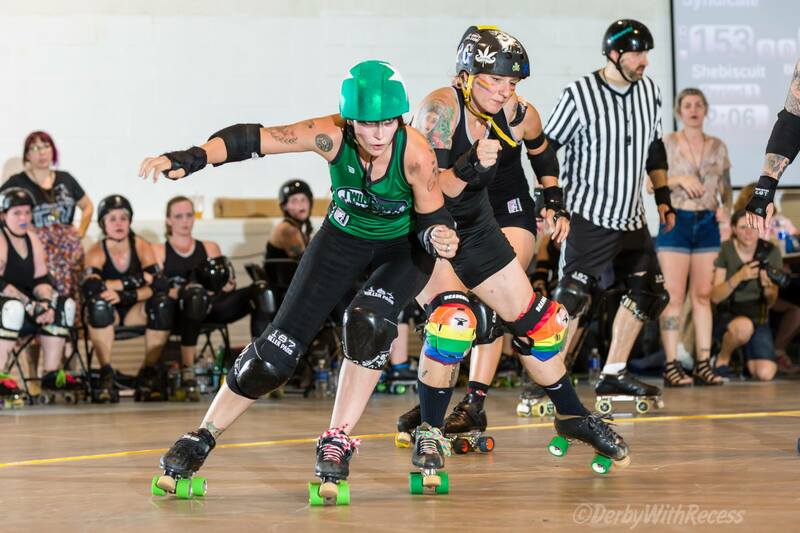 The roller derby event was the first of its kind in Springfield, IL, and brought together skaters from across the country. 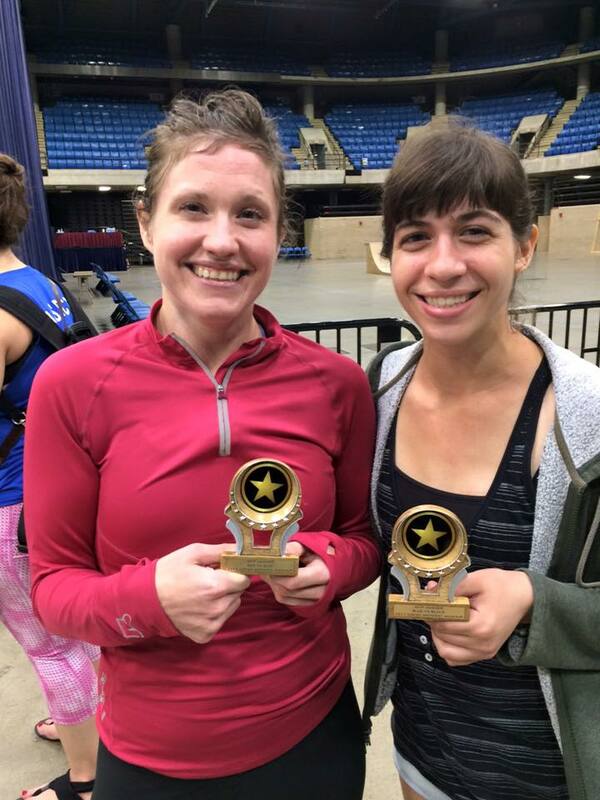 While the event also featured sanctioned MRDA bouts for the male skaters, women participated in a round robin tournament in which skaters from various leagues skated together in mash-up teams. Seven skaters from TCDG participated in the tournament, skating on the red, blue and black teams. The first match up was red vs. blue first thing on Saturday morning. The bout pitted Lil’ Booty, Lisa Hatchet and Nikita, against Houchebag, Emme Mortal and Regina S.P.E.C.T.R.E.. The score was extremely tight, but red eventually emerged the victor. The second bout on Saturday afternoon introduced the black team, which included Natty Slice, in a match up with red. This bout was also close throughout, but red was again able to triumph. The third bout on Saturday evening ended in an upset as blue hit their stride and eked out a solid victory against black. Throughout the weekend our own Head NSO, the Beav, coordinated NSO duties with her usual professionalism and aplomb, working with volunteers from a variety of leagues. TCDG tech guy Wrath of Jon not only covered scoreboard operator duties, but provided tech support to the event, quickly upgrading the live stream to sport a slick score overlay. Day 2’s championship bout (a rematch of red vs. blue) started with a strong lead from the red team, but red fell behind in the second half, and when the final whistle blew, blue had a solid victory and were awarded the tournament title! TCDG was well represented amongst MVPs over the course of the weekend, with Houchebag and Natty Slice awarded MVJ trophies on Day 1, and Emme Mortal taking MVB for the championship game. The tournament MVP award, the “Spirit of the Midwest” award, went home with our own Houchebag. Shop at Shnucks? Would you like to support your local derby girls with just a swipe of a card? Good news! TCDG is now enrolled in the eScrip program through Schnucks. For each purchase, Schnucks will donate “up to 3%” of your bill! Next time you go shopping at Schnucks, ask for an e-scrip card. Then, go online to www.escrip.com/schnucks to register the card…and choose Twin City Derby Girls as one of your three options! Each time you shop, present the card and…that’s it! You’ve done your good deed for the day. Pat yourself on the back. Go ahead. We’ll wait. Feel good? Good. So do we. 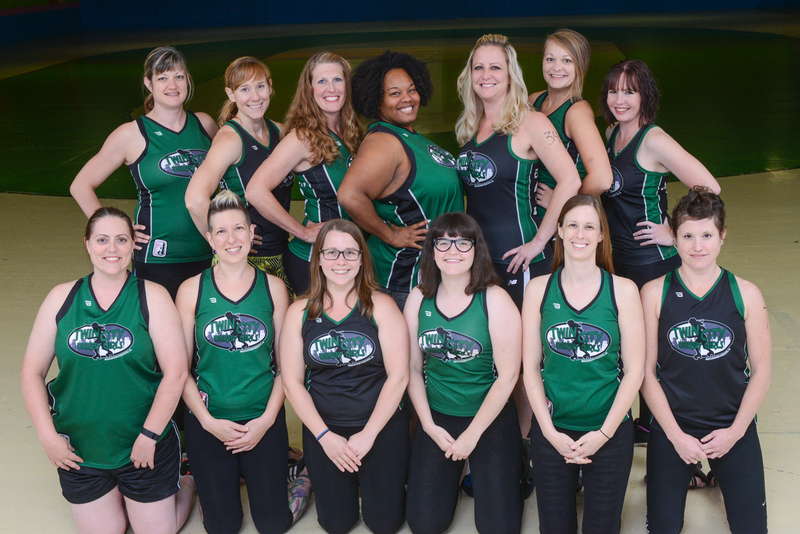 Our 12-week Roller Derby Training Program offers a fun and supportive environment for skaters and referees who want to learn and fine-tune the basic skills necessary to play or officiate roller derby. Anyone who is 18 years of age or older (by the first day of training), has current health insurance, and can skate is eligible to train to be a skater or referee. TCDG welcomes people of all gender identities to be part of our organization. Basic skating skills, understanding of the game, paperwork, and proper equipment are required for the first day of training. There is a $20 fee due at registration to cover equipment and facility fees. Please email tcdgmembership@gmail.com to register. down payment on first month dues. Monthly league dues while in the Doppel Gang program are $50 per month (total of 3 months). s PRIOR to tryouts. When fitting, please ensure that it covers your back molars. It is also strongly recommended to bring your own helmet (a bike helmet works just fine for starting out). st wear quad skates. Please bring your own if you have them! TCDG has loaner skates available to new training program members who haven’t yet purchased skates. Supplies are very limited and we cannot guarantee that we have enough in each size for every person. Pre-registration helps ensure loaner skates in your size. A photocopy of your Insurance card. The TCDG Training Program is a 12-week curriculum in which you will work individually and as a group to get your basic skills up to speed. Please do not hesitate from trying our program because you feel you don’t have the basic skills perfectly down pat. If you can skate, we can train you! Specifically, these skater skills are assessed for proficiency and aptitude. Again, no worries if you aren’t familiar with them. We’ll teach you and encourage and track your progress! If you have joined TCDG as a skater, you participate in a 12-week development program as part of our Doppel Gang to help you prepare for the WFTDA basic skills test. If you have joined as a referee, you will train with both the Doppel Gang and our officiating crew, the Ref Riders, to further develop your skating skills and knowledge of the sport. The Doppel Gang is a supportive and fun environment with space to learn and perfect basic skills. 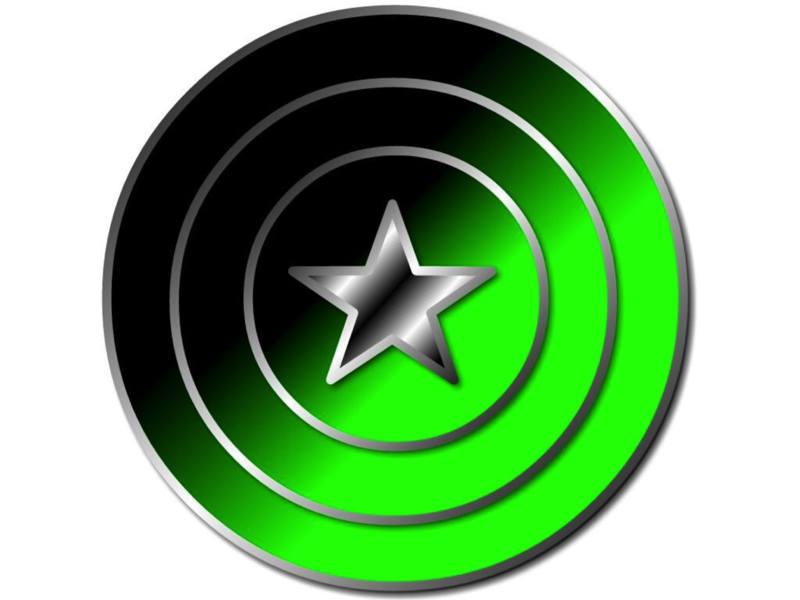 It is comprised of skaters of all levels, including visiting, Recreational, and veteran skaters, and referees. On a steamy summer night at the Windy City Fieldhouse, The Chicago Outfit hosted TCDG in their season finale doubleheader. Music by The Tah-Dahs. Cinematography, editing, color grading, and titles by Brock Rizy. The evening began with the Twin City Dead Ringers up against the Chicago Outfit Shade Brigade. The Dead Ringers started out hot, getting lead jammer in an opening jam stalemate. Next jam, the teams traded power jams, setting off a series of penalties and exhausting two-minute jams. The Shade Brigade was able to capitalize on this, racking up points while keeping TCDG from scoring. By the time an Outfit power jam closed out the half, the score favored the Shade 225-19. The Dead Ringers came back from halftime fighting and notched up their score over the first three jams, 256-26. With the Outfit’s offensive blocking, the Ringers were unable to stop the Shade jammers for long. Twin City chipped away at the point deficit with all-out energy, but faded when a seemingly successful star pass was denied due to an inside-out helmet cover. Final score was 401-43. The action heated up from there as the Twin City Evil Twins took on the Chicago Outfit Syndicate. Within the first minute of play, both jammers saw the inside of the box, in what proved to be a penalty-ridden bout. The two teams battled with solid blocking and fierce jamming when the packs were full. But most jams were plagued with penalties, emptying the track and filling the scoreboard with power jam points. The Syndicate jumped ahead with each power jam to end the half 173-56. The teams started the second half with determination, neither team giving up more than 4 points in the first 5 minutes. During the fourth jam the penalty box overflowed, and TCDG hemorrhaged points. The Evil Twins tried to turn it around, using a power jam and star pass to grab 9 points, 217-69. TCDG continued to keep the Syndicate in check for the next 10 minutes despite a string of blockers in the box. The constant penalties took their toll. Once TCDG players started fouling out, the Syndicate ran away with a victory, 347-99. Congratulations to the MVPs: Notorious RBG and JammaWockee for the Dead Ringers, and Sasha Smashmouth and Houchebag for the Evil Twins. And thanks to the Chicago Outfit for a great night of roller derby! Want a challenge? 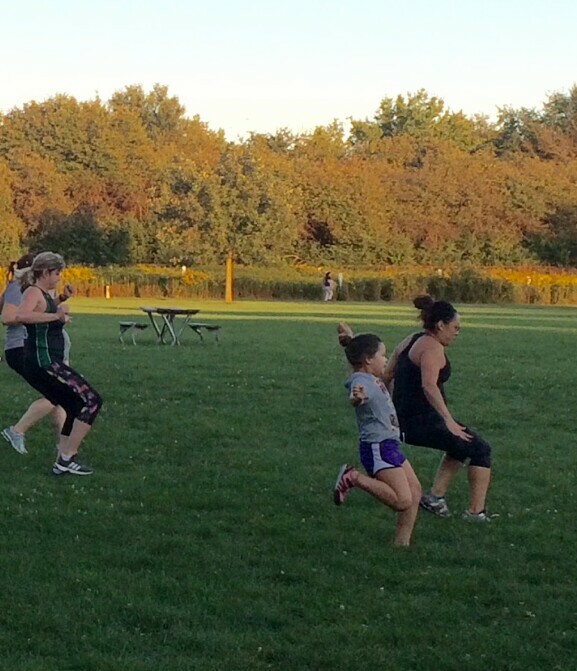 Work out with some of the toughest women in the twin city area! Join Urbana Park District and Twin City Derby Girls for the first ever “Work Out with a Derby Girl” event! 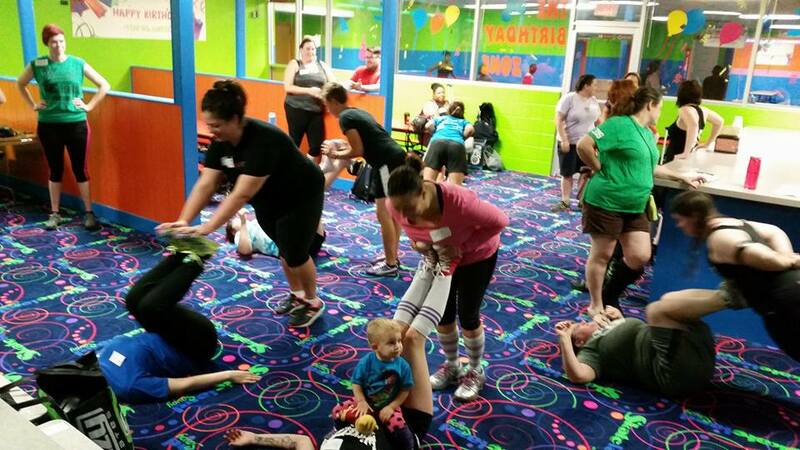 Come experience a unique and FREE fitness experience by doing a typical off-skates workout with members of the Twin City Derby Girls. 6:00-7:00pm Tuesday, September 15th at Meadowbrook Park Prairie Play Pavilion. For more information call the Phillips Recreation Center at (217)367-1544 extension 274. New! An additional “Work Out with a Derby Girl” has been added on Thursday, September 17th, on the U of I South Quad by the bell tower from 6-7 pm. After the workout, head to Animal Science Laboratory Room 404 for Derby 101 (explanation of roller derby and the league)! 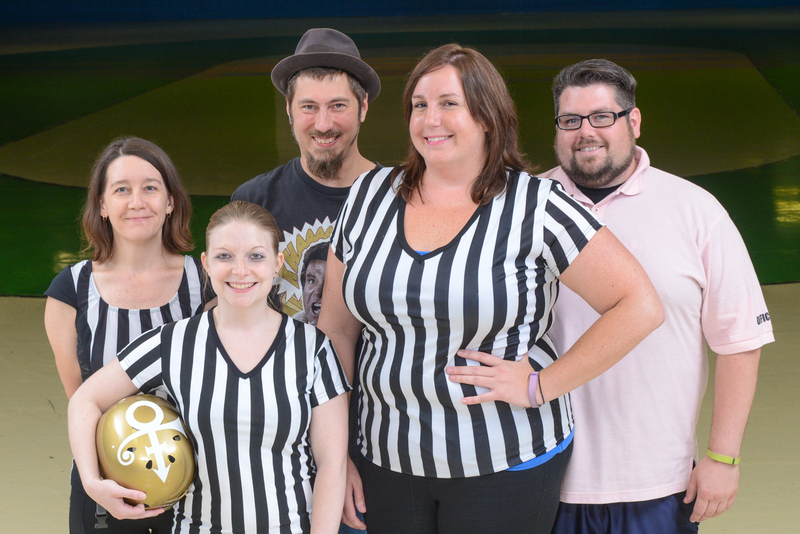 If you want to see roller derby up close but aren’t ready for a big hit, join the Ref Riders, our officiating crew! TCDG needs officials to staff our games, which are governed by WFTDA’s standard practices and rules. For interested officials, WFTDA offers annual training clinics and certification. Referees, our skating officials, are volunteers who facilitate safety and fairness in gameplay. They gear up and attend conditioning practices with the league and officiate during scrimmages and games. This group also answers questions about rules during games and scrimmages and helps the farm team prep for testing by presenting Rule of the Week. Non-skating officials, or NSOs, wear pink shirts and are integral to every game. These volunteers track statistics, record scores, and keep the game clock. Most positions are easy to learn, and once you start you will want to learn them all. Are you interested in the future of men’s roller derby in the Champaign area? TCDG Coach Bryan Elder is having an informational meeting tonight, July 24th at Billy Bob’s in Ogden, IL 7:00 p.m.
Are you looking for a change? The Champions of Paign is for you. This event is geared to inform local men about how to get started in roller derby. If you don’t identify as male, have no fear. There will be plenty of superstars from the Twin City Derby Girls on hand to answer every and all questions. Come join us Friday, July 24, at Billy Bob’s in Ogden, IL 7 pm. Let us show you what you have been missing. This will be a no pressure type of event. Come meet some derby girls and future derby dudes and learn everything you want to know about derby.